Shyloh Belnap: Primary 2 lesson 27... I can make others happy by sharing! Primary 2 lesson 27... I can make others happy by sharing! I plan to post more of my primary ideas over on my church blog HERE. I thought I would post this one post here just so you can see what I'm doing over there! I am using the other blog as a way to document everything I have done for others. I think it helps for us all to share ideas :) After this week, check it out. I will post ideas I have for the lessons I teach (which won't be every week). I am now in Primary and have been loving the change of pace. BUT... I have discovered it really does take quite a bit of creativity to entertain a class of 4-year olds for an hour! I thought I would share my ideas along with ideas I have found from other blogs to help others who have to teach the same lesson. The original lesson on LDS.org can be found HERE. head over and check it out. 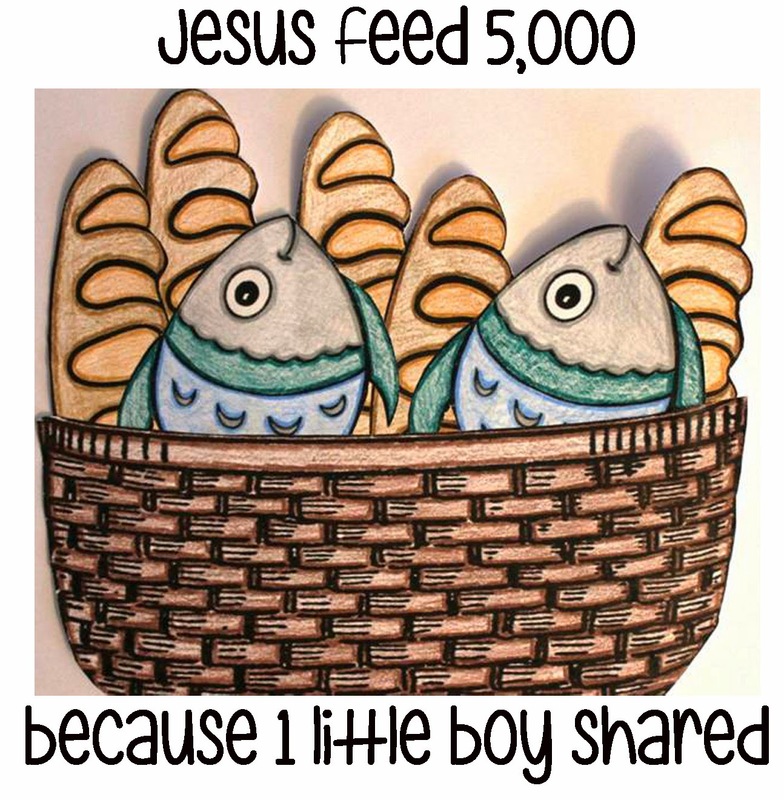 GREAT Bible story craft ideas! You can download the PDF of this document HERE and print it out to use yourself.